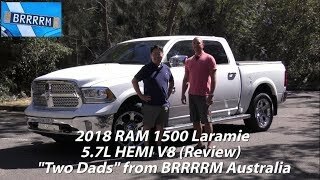 Let's take a DETAILED IN-DEPTH REVIEW of the 2018 Ram 1500 Laramie Limited! 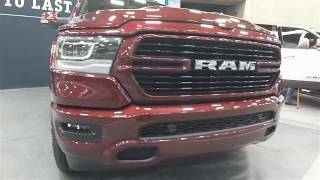 This Ram 1500 is LOADED, but we will be covering the highest four trims: the Laramie, Laramie Longhorn, Laramie Limited and the new Limited Tungsten Edition. 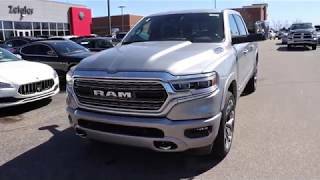 The performance data, cargo capacities, bed info, distinct styling cues, interior technology and functionality, exterior styling, and much more will be covered. So, come join us as we sample this automotive delicacy in a very detailed review that will leave no questions unanswered! "Highway Girl" is free for use on YouTube for any purpose. 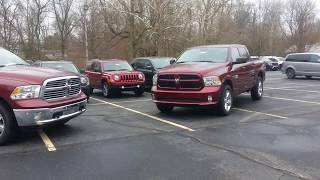 Thank you for watching, and please LIKE and SUBSCRIBE for more detailed car reviews and comparisons! © Car Confections 2017. All rights reserved. 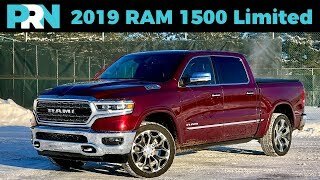 Get the all new 2019 ram 1500 it’s obviously better. Great Review but Holy moly! 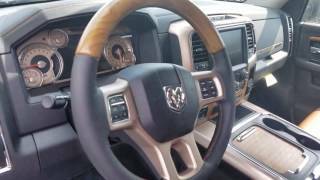 having seen the 2019 ram interior. this model looks really outdated. what an upgrade! 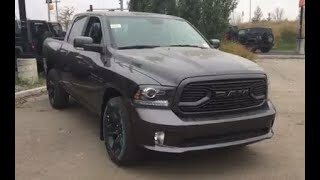 Apparently the trim levels are kinda different over here in Europe (where the 5.7 liter HEMI is pretty much standard and leather interior, side bars and a crew cab + shortbox config is standard from the Sport and up). Rafael Rivera you tripping the shifter is dope. 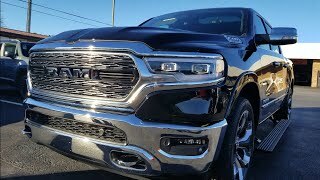 But I can't get over that hideous RAM emblem on the tailgate. 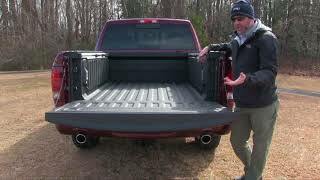 ,should hv the easy lower tailgate to. 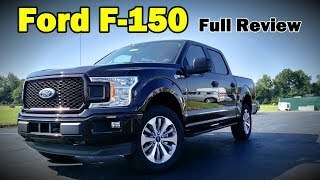 Would rather hv the Ford -f150 Shelby. Probably cheaper to the the dodge and u get lots more with ford. if you think the Shelby is cheaper, then you’re trippin. Seriously. This should be standard on this and also should the spray in bed liner and box cover. 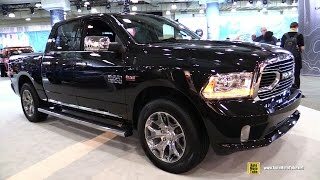 As a Ram owner, they should really add Blind sport assist, 360 camera, and tailgate assist. 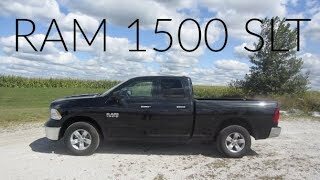 Ram is a good truck at the high trims. 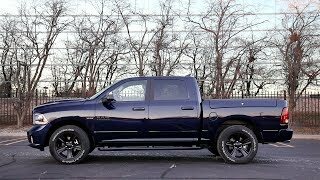 5.7 hemi has the most personality out of any engine. I loved this truck when it came out. So avant garde. The V10 was crazy. But time marches on, and this truck for better or worse, and this truck is not so new anymore. 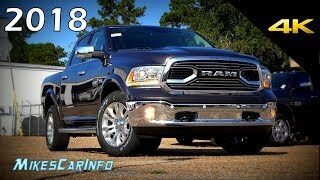 I love the V6 Diesel regardless of the shenanigans going on. 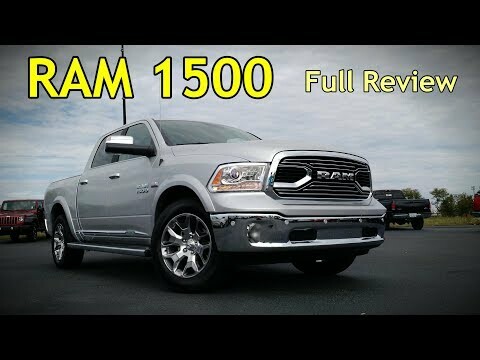 It is a terrific motor, and I think the mileage and torque are great things for this truck. Wished the Cummins really didn't go away. Now Nissan has them. I think a big mistake for FCA to lose that. The ride with that air suspension has to be a dream. 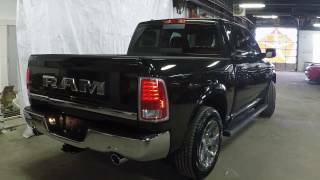 The more stiffly sprung GM and Ford offerings I think would tire me out. So I still love this oldie but goodie. But I think FCA needs to make more of an impact for me that will not scream old. Otherwise this truck is very competitive. I remember the Power Wagon growing up, and was my favorite truck. 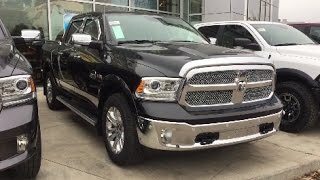 Can this truck bring back the joy? Maybe, but for me, FCA needs to step it up. The competition is mighty good. So RAM still rooting for you. FCA, get to work! Great as always guys. 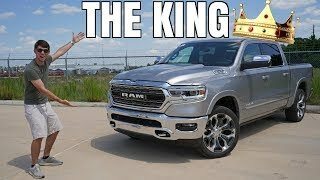 Although the thought of the headline: "Brilliant young Youtuber almost maimed by RAM tailgate!" fills me with dread. Gotta be more careful next time. 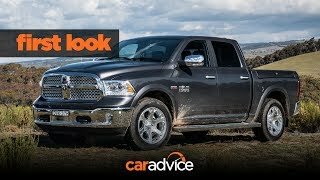 2018 RAM 1500 Laramie review: First Look! 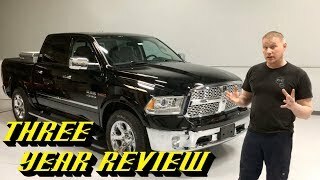 2019 Ram 1500 - FULL REVIEW! !